Just when you thought your time at Auburn couldn't be better, we thought we'd tell you about our exclusive amenities and features at The Hub at Auburn. When you live here, you'll have the best of both worlds: the on-campus experience and the off-campus freedom. Explore each of our community amenities, such as our fire pitperfect for those chilly Fall eveningsa TV Lounge, a resort-style pool, hot tub with patio seating, and so much more! Browse our list here, but it's better in person so give us a call to schedule an on-site tour with our friendly staff! But it's not just about our community amenities. Our in-home features are the best in the market as well! Ask us about our upgradable Smart Apartment features, such as our Kevo locks and Nest thermostats. Each apartment comes with a full appliance package and the option of furniture upgrades as well. It's all here, so why aren't you? Apply today! Get picked up on-site by Tiger Transit and get to class fast! Share a laugh around our toasty fire pit. Enjoy fresh snacks while you hang out in our resident lounge complete with a pool table and darts. Open from 9:00 am - 6:00 pm. Our community pool is a great place to hang out with friends and meet fellow residents. Open until 10:00 pm daily. Enjoy our renovated Fitness Center 24 hours a day! Refrigerator, Dishwasher, Microwave & Range Included. 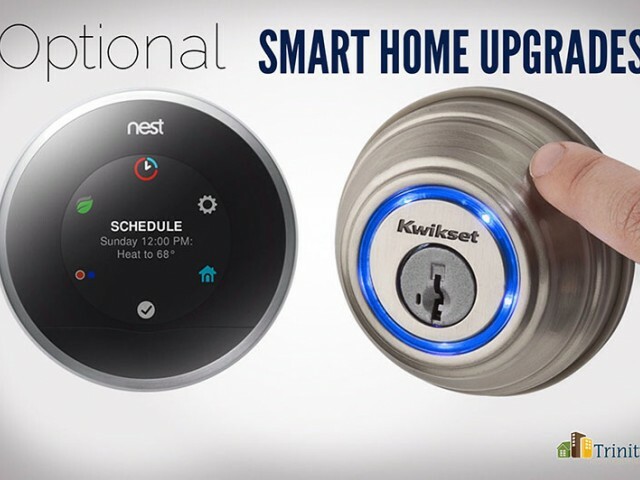 Ask about our Smart Apartment Kevo & Nest Upgrades.